The garden doesn’t have to stop producing just because summer is waning. 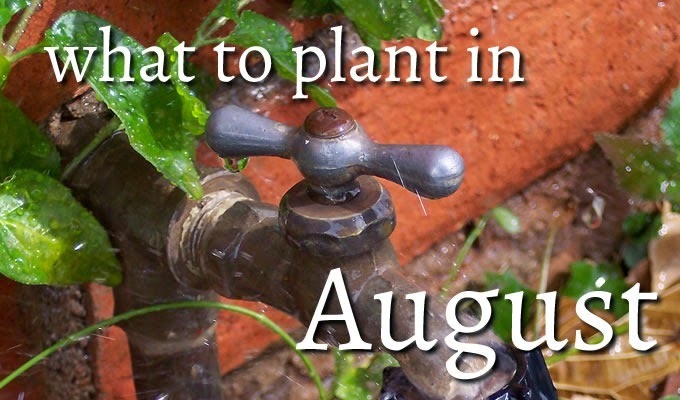 In fact, August is the perfect time to add some variety and get a second season harvest from your space. Plant these garden favorites and harvest right through the fall and have plenty to preserve for winter as well. If you haven’t grown kale yet, there is no time like the present. Start it now and in many zones you’ll be able to harvest right through the winter months. In fact, a bit of frost will just make these tasty greens even sweeter. Cooler temperatures are on the way, and that’s perfect for lettuce. Plant now for fresh salad greens (and reds) for weeks and months to come. Believe it or not there is still plenty of time for another round of beans. Select fast growing varieties and get ready to preserve the bounty because beans love this time of year almost as much as I do. Radishes are one of the fastest growing garden vegetables, usually ready from seed to table in less than a month. Plant a few rows every two weeks for fresh radishes all season. Spinach thrives in the cooler temps of fall, and getting those seeds in the ground now will give them plenty of time to get a strong root system before the weather cools off.